If you are installing a commercial washroom with showers and need all the right washroom accessories, you have come to the right place! 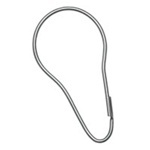 At Commercial-Specialties.com we offer all the finest shower accessories like shower hooks, bath robe hooks, shower curtains and fold-able shower seats. Check out our antimicrobial shower curtains that are made from reinforced vinyl fabric and are flameproof, stain resistant as well as self-deodorizing. 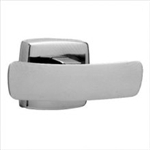 Be sure to check out our other shower and washroom accessories to complete your commercial washroom today! Bradley #9533 Antimicrobial Vinyl Shower Curtain 36x72"
Bradley #9533 Antimicrobial Vinyl Shower Curtain 42x72"
Bradley #9533 Antimicrobial Vinyl Shower Curtain 48x72"
Bradley 9533 Antimicrobial Vinyl Shower Curtain 72x72"
Bradley #9537 Antimicrobial Shower Curtains 42x72"